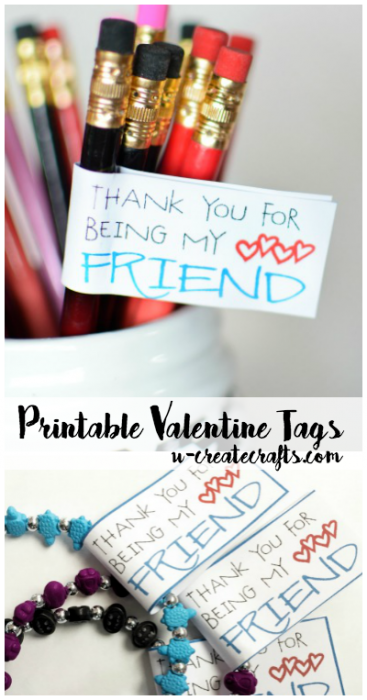 Sometimes you just want a generic, not so punny, Valentine printable, right? Not everyone likes the elaborate classroom Valentines…I totally understand that. 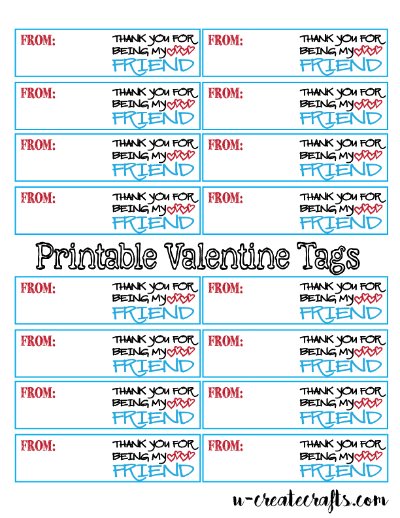 So, I created some generic printable Valentine tags. Check it out. #1. 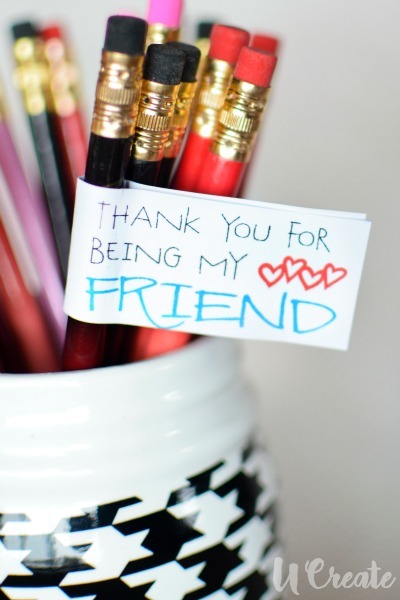 Download and print the “Thank you for being my friend” Valentine Tags. Remember to sign them BEFORE you cut them out; it’s just easier. #2: Cut the tags out on the blue line. 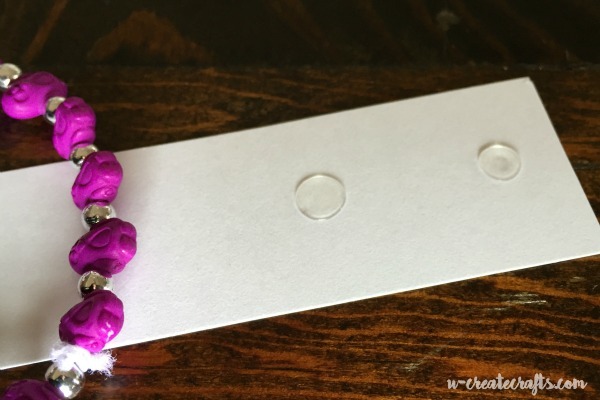 #3: Put two glue dots on one end of the tag. 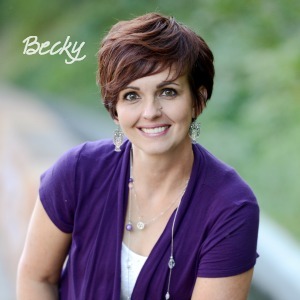 #4: Adhere the tag around the bracelet…or whatever, you are using. 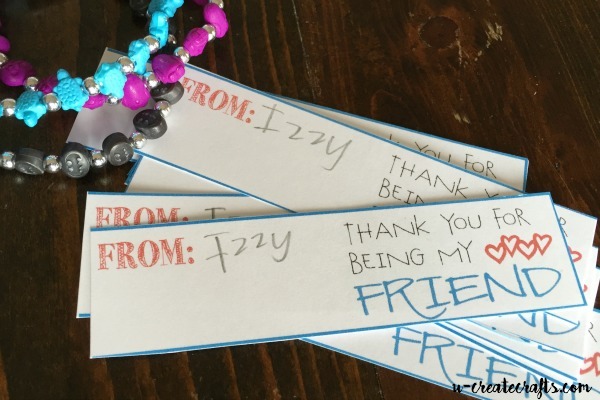 You can literally put them on any item and give it to a friend, co-worker, teacher, classmates, etc. How’s that for generic? I can’t wait to see how you use them. Take a picture and send it to us; you can use our email, Facebook, or tag us on Instagram (@ucreateblog).